Building an attractive professional photography website can take time and effort, but you will quickly discover we have already done a lot of the hard work for you. 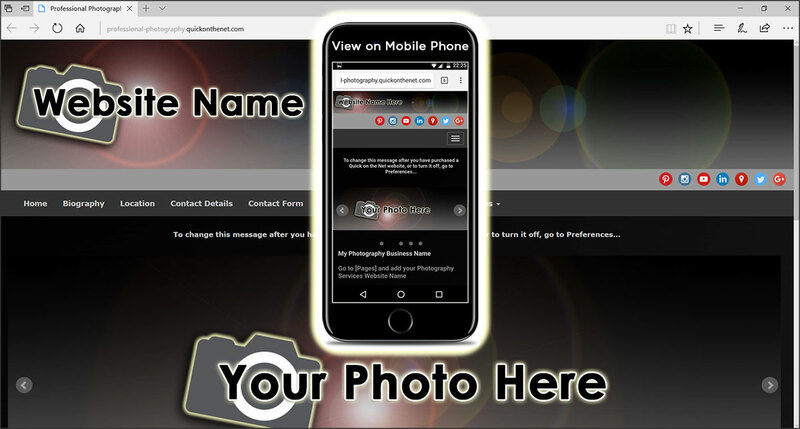 Also available in white, this professional photography website template contains an essential collection of web pages to promote your professional photography services. This web design template is versatile and offers a high degree of flexibility to suit any business. It includes a search bar, a contact form and email a friend functionality. It contains 4 galleries and you can add a PayPal shopping cart and take customer payments online, directly from its web pages.